You are here: Home / Celebrate / Holidays / Thanksgiving / Thanksgiving: Food, Family and Football! Thanksgiving: Food, Family and Football! Thanksgiving is a great American holiday filled with family, yummy food, and FOOTBALL! The tradition of football being played dates back to 1876 when Yale and Princeton started their first annual game on Thanksgiving Day. By the 1920s, the NFL joined the tradition and the Detroit Lions, and the Dallas Cowboys are now regular hosts to the NFL Thanksgiving games. A night game was added to the Thanksgiving line-up in 2006. Now, we have three NFL games played on Thanksgiving! The Texans are leading their division(AFC South) with a great 9-1 record, while the Detroit Lions are in last place of the NFC North Division at 4-6. This won’t be the best game of the day to watch, but if you are a Texans fan it will be exciting to see your team playing on Thanksgiving for the first time. Kid Rock will also be performing his new song “Detroit Michigan” for the half time show. Thanksgiving dinner might be planned around this game in many houses this year. This NFC East divisional rival is a great game for the family to watch. It should be a good game with the Redskins beating the Eagles last week, and rookie RG3 dominated with four touchdowns. Dallas Cowboys also won a big game this past weekend. Both teams need this win to keep their playoff chances alive. Country Fans will be very excited to see Kenny Chesney performing at this year’s Thanksgiving Halftime Show. Jets are looking to pull a big at home upset on the 7-3 New England Patriots. This game might not have interest to you but two QBs Mark Sanchez, and Tom Brady won’t be a bad thing to look at Thanksgiving night!! Lenny Kravitz will be performing Thanksgiving night, and this game is also dedicated to helping and honoring all those affected by Hurricane Sandy. Happy Thanksgiving, and enjoy your favorite traditions on Thursday! Beth is married and happy mom to two boys. Growing up with brothers and a father who loved Philadelphia sports, and now living in a house filled with boys, this girly girl has gotten to know a lot about sports, or should she say, has had to learn to love sports. Her love for football turned into more knowledge on the game as she started playing fantasy football. She created a website with her college friend Tara called GirlsGoneFootball. It's a place where girls can come and play fantasy sports together, learn about football and read blogs about celebrity gossip in sports. If you have a guy in your life, boyfriend, husband, brother or son, chances are sports are going to be in your life too. Beth will be your guide - from what to expect at a tailgate party to learning the rules of your kid's sports so you can really get involved. Trust me, if this girly girl can love sports you can too. How Soon After a C-Section Can I Get Pregnant Again? What Can I Substitute for Butter When Making Frosting? 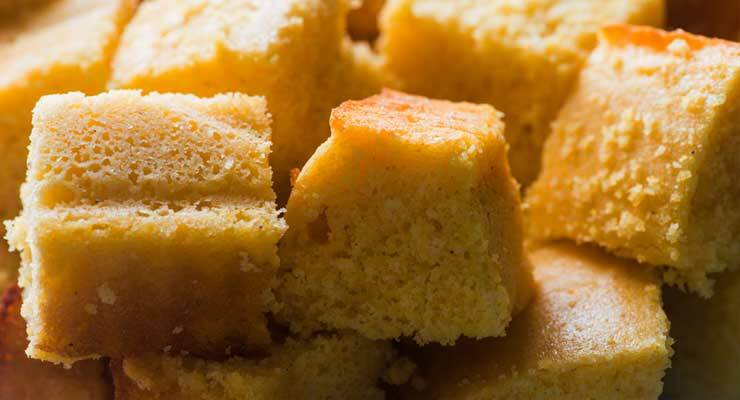 What Can I Use as an Egg Substitute When Baking Corn Bread? Can Self Rising Flour Substitute for Baking Soda?